American television network, CNN, took legal action against the administration of President Donald Trump Tuesday over one of its report's press documents. CNN demanded that reporter Jim Acosta's press pass, which permits him to enter the White House, be returned. CNN said the action by White House officials violated the constitutional right of freedom of the press. The first amendment of the U.S. Constitution bars Congress from passing laws that harm the freedom of the press. The administration removed Acosta's press pass following a heated news conference last week. Acosta had questioned President Trump's use of the word "invasion" to describe groups of migrants heading to the U.S. Acosta then refused to give up a microphone when Trump said he did not want to hear anything more from him. Trump said, "CNN should be ashamed of itself, having you work for them. You are a rude, terrible person." The White House took away Acosta's pass later in the day. At the time, officials said he "placed his hands" on a woman working for the White House who was trying to take the microphone. White House spokesman Sarah Sanders also shared a disputed video of Acosta's movements toward the woman. The AP said action in part of the video was made to appear faster than it really was, making Acosta's actions look more threatening. CNN also said Acosta was not given warning of the action or a chance to appeal the decision. Trump has repeatedly used the term "fake news" to describe CNN and its reporters. The president has also called some members of the media "enemy of the people." Theodore Olson is representing CNN in the legal case against the Trump administration. 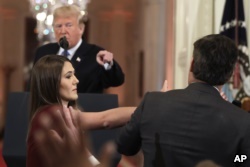 He said, "Mr. Acosta's press credentials must be restored so that all members of the press know they will remain free to ask tough questions, challenge government officials and report the business of the nation to the American people." White House Press Secretary Sarah Sanders said "this is just more grandstanding from CNN." She said the administration would defend against the legal case. She added, "The First Amendment is not served when a single reporter, of more than 150 present, attempts to monopolize the floor." 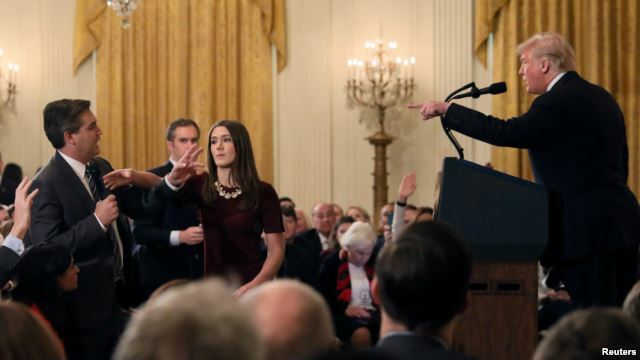 As President Donald Trump points to CNN's Jim Acosta, a White House aide tries to take the microphone from him during a news conference in the East Room of the White House, Nov. 7, 2018, in Washington. The White House Correspondents' Association supported CNN in the legal case in Washington. Olivier Knox is president of the reporters' organization. He said the president should not choose some reporters who cover him over others for no reason. During the weekend, Acosta received permission from the French government to report on Trump's visit to Paris. But the U.S. Secret Service, which protects the American president, denied him entrance. CNN said in the legal case that without his press pass, "a daily White House correspondent like Acosta effectively cannot do his job." The network also asked the court for a ruling to immediately stop the action and to return the pass to Acosta. 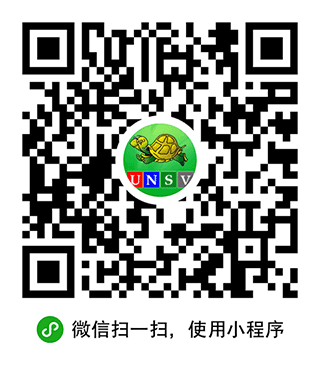 Hai Do adapted this AP story for VOA Learning English. Mario Ritter was the editor.